When you need any land surveying or septic system services, you want someone reliable, experienced, and affordable. S&H Land Services delivers a cost effective, timely and professionally prepared product. We're experienced with projects of all sizes, from a residential boundary survey for a homeowner to large subdivisions and commercial projects. We do it all, and we do it in the most cost efficient and professional manner. Having previously been employed by both large and small Civil Engineering and small Land Surveying firms, we have built our company model by blending our combined 25 years of Land Surveying experience with the latest technology. 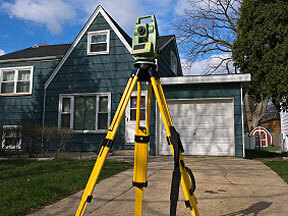 To do that, we've invested in advanced robotic surveying equipment and the latest drafting software. This streamlined approach seeks to eliminate inefficiencies, reduce overhead and provide our clients with project management that is second to none. Over the years, we've learned that our approach offers clients a better service, greater value, and a more positive experience overall. Residential Septic System Designs for new construction or existing homes. Do you think a neighbor might be encroaching on your property? Do you want to know if you can subdivide your property? Or maybe you need a septic system design for a piece of land. S&H Land Services can help. For more information, please don't hesitate to contact us today.